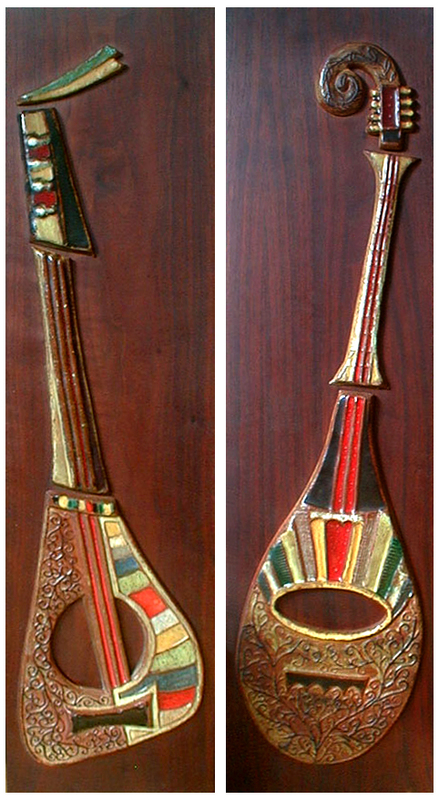 Here are some great wall relief pieces that feature lutes. Most were still available at the time of this post. Copper enamel wall plaque, dated 1966. My-Mod-Mod-World's ebay store for $76.50 at time of post. Ceramic, wood and shell wall hanging depicting a Japanese lute. Modern Cactus ebay store $145 at post. 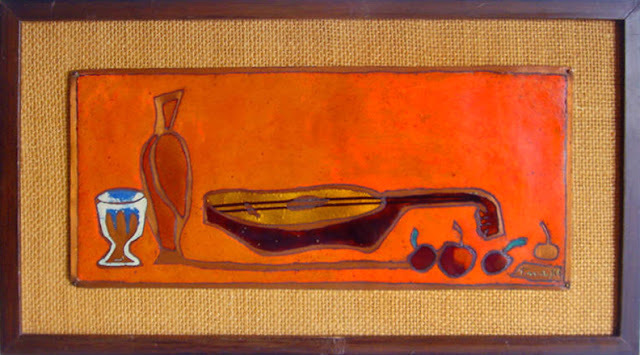 Ceramic wall relief, by Maurice Chalvignac or Harris Strong? 14" x 37"
Harris Strong ceramic wall panels models W46 and W47, ca 1950's, 8" x 30"
There is an identical set available at Hi Lo Modern for $325 total at time of post. 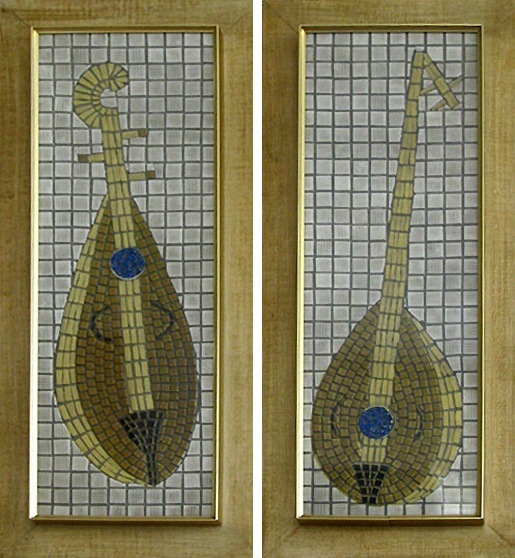 This is a set of faux mosaic panels produced by Turner Wall Accessories. They measure 12" x 28" each. If you like mid-century decor that features musical instruments, check out my "Movements and Themes" post on string instrument paintings here.